If you’re on the hunt for a new trimmer, there are a ton of different options to choose from. Among all of the many brands, models, and more, finding the trimmer that’s right for you can sometimes seem like an impossible task, but if money isn’t an object and you simply want to get your hands on one of the best rotary shavers around, you’ll want to stick around for this Philips Norelco 9800 review. The Philips Norelco 9800 is a rotary shaver that hits pretty much every checkbox you could want in a men’s grooming tool. It’s comfortable to hold, uses an advanced LED display to quickly show you current settings, has numerous comfort settings to play around with, and kicks out an insane amount of power for one of the smoothest and accurate cuts you’ll ever experience. You will need to spend a fair bit of cash to purchase the Norelco 9800, but when you consider everything that this gadget is bringing to the table, it’s slightly higher price is completely justifiable. Philipps really went all out when making the Norelco 9800, and as a result, we have a rotary shaver that’s extremely powerful, delivers a s﻿mooth and clo﻿se cut every single time, and packs in a great deal of features/settings to tweak to your heart’s content. The battery may not be the longest lasting, but aside from this one minor hiccup, the 9800 brings everything to the table that you could possibly want. Contour Detect is capable of identifying when it comes into contact with one of the many contours on your face, and when it does, it automatically adjusts so that you can still get as close and nick-free of a shave as you’d like. It really is amazing just how well the system works, and it’s something that we really grew to love during our testing of the 9800. 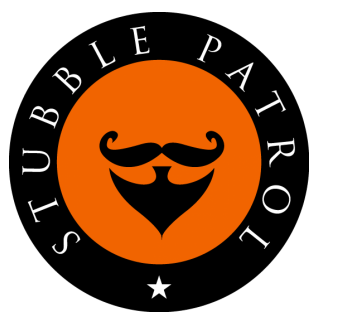 Your shaver is a powerful tool, and like with most tools, there’s information about it that you should be able to easily read at any given moment. Thanks to the advanced LED display on the Norelco 9800, this is extremely easy to do. The display here is both big and bright, and it makes it super simple to see which setting the 9800 is currently in, how much battery life is left, and plenty more. It’s a very useful touch, and it’s something you’ll wish ever shaver had once you start getting used to it. All guys are different. Some like to shave in front of their bathroom mirror, and others prefer to do their shaving in the shower. The latter of these two things obviously requires that you have a shaver that is waterproof, and this is an area where the 9800 doesn’t disappoint. Philips made the 9800 totally waterproof, and this means that you can take it in the shower and wash it under your faucet with no issues whatsoever. As mentioned already, the Philips Norelco 9800 is not a cheap product by any means. 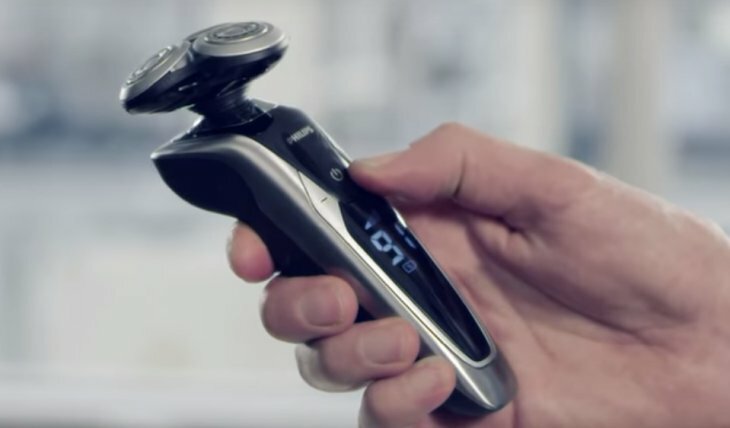 The higher price is to be expected when you consider everything this shaver is capable of, but as an effort of goodwill, Philips decided to include a free travel case with every purchase of the product. The travel case is very well-made, and it acts as a fantastic solution for taking your 9800 with you wherever you happen to go. Thanks to the combination of the ultra-powerful motor and super-sharp V-Track Precision Blades on the Norelco 980﻿0, you’ll easily be able to get a smooth and comfortable shave every single time you power on this puppy. Even after long use sessions day after day, the 9800 simply doesn’t give up. The shave that’s produced as a result of using this product is second-to-none, and it creates for a shaver that you’re actually excited to use every morning. We can’t say enough good things about how well this actually works, and unfortunately, you won’t be able to fully understand just what we’re talking about until you try out the 9800 for yourself. The biggest issue that we ended up having with the Norelco 9800 is its battery life. Simply put, this is not a long-lasting shaver. You can get a few use sessions out of it, but don’t expect anything more than that before you’ll need to plug it into the wall to charge. Philips does thankfully allow the 9800 to charge very quickly, but we’d still prefer to not have to plug in so often. Many shavers well under this price point often include a cleaning brush to better clean your shaver, but this is not the case with the 9800. We do appreciate Philips including the travel case, but for most people, a cleaning brush is more useful than a case to carry the shaver around in. This seems like an oversight to us, and while it’s definitely not a deal-breaker, it's disappointing that Philips skimped out on something so basic in a product this expensive. Despite it’s two minor shortcomings, the Philips Norelco 9800 is a phenomenal shaver that's simply one of the absolute best in the market right now. Sure, you could compare the Norelco 9800 vs 9700 and the Norelco 9800 vs 5200 all day long, but when all is said and done, the 9800 packs more power, more features, and a more enjoyable product when compared to its competitors and siblings. That’s our Norelco 9800 review, and we hope you found it helpful!